Social media sites can help you improve the SEO potential of your brand. But for this, first of all, you need to improve the set-up, content, and structure of your social media profiles. 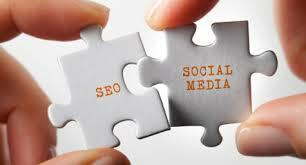 Below are a few other methods to optimize your social media presence for SEO. Aside from profile and cover photo, add a lot more photos in the album telling the world more about yourself. Get the vanity URL as well. Update your profile at least once in 24 hours. If possible, post updates on an hourly basis. Use hashtags as well. In the page info area, write down the history, mission, awards and services of your company for example. To highlight more content, you can use custom tabs. Examples of this type of content are feeds from other profiles like YouTube, Pinterest and Twitter. Promote your brand through the profile pictures and the image for the header. Make sure the profile gets updated on a regular basis. If possible, update it 3-4 times per day. Don’t forget to leave hashtags. Content should be a mix of photos, tweets and videos. Make use of quality branded photos, and get the vanity URL too. You should include links to other profiles in the About section of your YouTube profile. Upload videos whenever you can, weekly or monthly basis. Use video playlists too. On Pinterest, you can upload a branded profile picture. The picture will be small, so make sure you upload an image that can be easily seen at this size. Next, create a lot of relevant boards and put a lot of content on the profile. Don’t forget to add quality descriptions to the pins. On your LinkedIn profile, you can upload a banner picture and a company logo. Create quality content and put it in the information section on your LinkedIn profile’s Home tab. Also, you can take benefit from the “Showcase Pages”. Instagram allows you to post both images and videos. So, use quality images and videos on the profile to attract as many visitors as possible. The images and videos should have descriptions. Don’t forget to use hashtags, as they are of great help. So, these were some easy to follow tips to help you improve the SEO potential of your social media profiles. With a little effort on a daily basis, you can achieve the desired success and enhance your overall social media marketing efforts, in addition to your ecommerce SEO strategy.